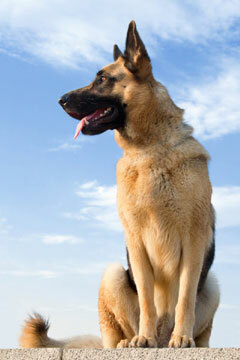 Believe it or not, there are several German shepherd coat patterns. 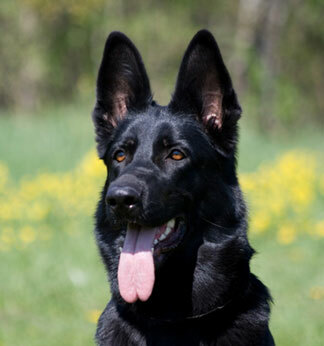 More often than not most people envision the traditional black and tan, saddle back pattern dog whenever they picture the German Shepherd dog in their mind or try to describe this dog breed to someone else. 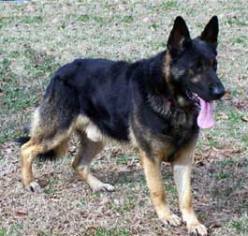 It is true, however, that there are a number of German shepherd coat colors and a variety of coat patterns.These include the following patterns:Sable, Saddle Back (and Blanket Back), Bi-Color and Solid colored. 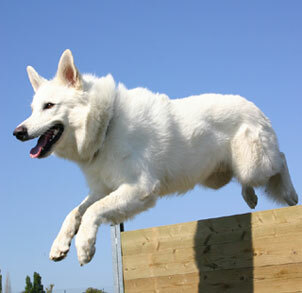 "The color of the GSD is in itself not important and has no effect on the character of the dog or on its fitness for work and should be a secondary consideration for that reason. 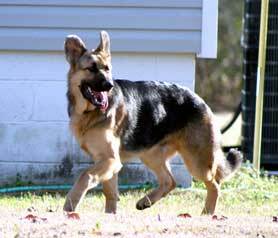 The final color of a young dog can only be ascertained when the outer coat has developed." Many factors such as health and temperament should always be much more important than the search for a specific coat color. Coat color should always be below structure, gait, type, and character and should never take precedence over the working or companionship abilities of the dog itself. 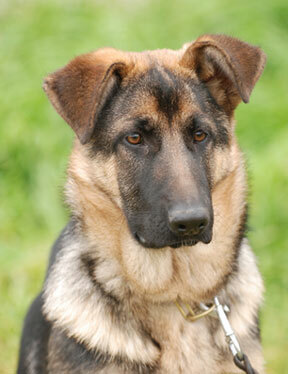 The color of the German Shepherd is one of the less important factors to consider whenever choosing a GSD puppy. As long as the colors are strong and well pigmented what does it really matter anyway since the dog will change in color as it matures unless it is a solid colored dog anyhow? 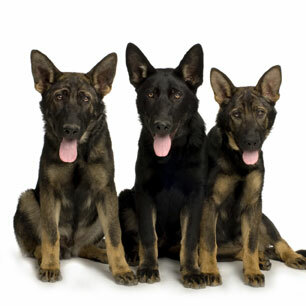 German Shepherd coat patterns are all beautiful - remember, after all there is much more to the dog than coat color alone.